A growing number of major American corporations are offering meditation, mindfulness and yoga programs for their employees, practices that are believed to have originated in pagan Eastern religions. Last week, the California-based software company Salesforce generated media attention for putting meditation rooms on every floor of the company’s newest corporate office building in San Francisco. Fifty miles southeast of Salesforce’s San Francisco office, Google offers a meditation course called “Search Inside Yourself” to workers in its Silicon Valley headquarters. More than a thousand Google employees have been through the mindfulness training course, which promotes Eastern meditation practices. Google is one of many technological companies that has come to embrace meditation and mindfulness programs. Facebook, also headquartered in California’s Silicon Valley, provides a meditation room for employees and is actively seeking to infuse Buddhist values into its corporate culture. “While many other Silicon Valley companies are teaching their employees to meditate, Facebook is trying to inject a Buddhist-inspired concept of compassion into the core of its business,” “Wired.com” reports. Many other technological companies have begun promoting Buddhist-inspired meditation techniques. AOL Time Warner offers quiet rooms for employees to refresh and mentally refocus. Yahoo! encourages workers to take advantage of meditation rooms. 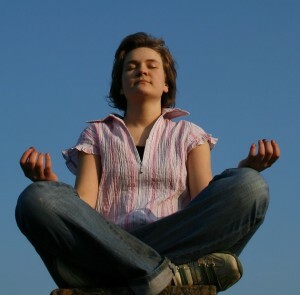 And Apple reportedly allows employees to take 30 minutes each day to meditate at work. Why are yoga and meditation so popular among corporate giants of the tech field? Some trace the trend back to the early pioneers of computers and the Internet. This interest in Eastern faiths is not limited to California-based tech giants, however; many non-technological companies are also working meditation routines into their corporate schedules. According to recent articles from The Wall Street Journal and Harvard Business Review, General Mills, Target, Bank of America, and Goldman Sachs Groups have all started offering mindfulness programs.